Hydacheium grows to up to 3 feet tall and the leaves are 16 inches long by 4 inches wide. 8 inch long loose terminal flower spikes have individual flowers that are yellow with reddish stamens.Hydacheium grows to up to 3 feet tall and the leaves are 16 inches long by 4 inches wide. 8 inch long loose terminal flower spikes have individual flowers that are yellow with reddish stamens. Pure Hyssop Oil is obtained through hydro distillation from fresh plant material from Hyssopus officinalis. The Hyssop Oil has a sweet, warm smell and ranges in color from colorless to pale yellowy- green. Hyssop essential oil is an excellent aromatherapy oil and are highly valued for its medicinal property. It strengthens the lungs, benefits poor vitality, breathlessness and immune deficiency. Blending: Lavender, Rosemary, Myrtle, Sage, Clary Sage, Citrus Oils. Applications: Burners, Vaporizers, Massage Oil, Creams, Lotion etc. Quantity Available: 500 Gms, 1 Kg, 5 Kg, 10 Kg and as per requirements of the clients. Packing: Food grade silver coated alumunium bottles and as per client's requirement. Jasmine essential oil has a distinctively rich, warm, floral, and sweetly exotic aroma with fruity-tea undertones. The fragrance of the oil sedates the nervous system, and is good for headaches, insomnia, and depression, takes the emotional edge off PMS and menopause. Helps ease muscle cramping, including menstrual cramps when used in a massage oil or lotion. This oil is also used in cosmetics for sensitive or mature and aging skin. 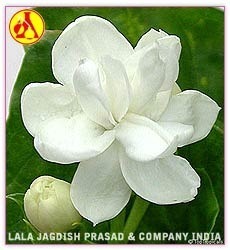 Jasmine absolute oil is often used as an . The luscious fragrance stimulates and intoxicate the senses.Jasmine essential oil has a distinctively rich, warm, floral, and sweetly exotic aroma with fruity-tea undertones. The fragrance of the oil sedates the nervous system, and is good for headaches, insomnia, and depression, takes the emotional edge off PMS and menopause. Helps ease muscle cramping, including menstrual cramps when used in a massage oil or lotion. This oil is also used in cosmetics for sensitive or mature and aging skin. 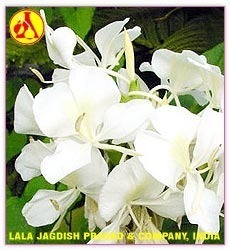 Jasmine absolute oil is often used as an aphrodisiac. The luscious fragrance stimulates and intoxicate the senses. Bland with : Bergamot, Clary Sage, Clove, Frankincense, Geranium, Ginger, Grapefruit, Lemon, Neroli, Orange etc. Application - Soap making ingredients, lotions, massage oils, diffusers, scent, air fresheners, body fragrance, perfume oils etc. 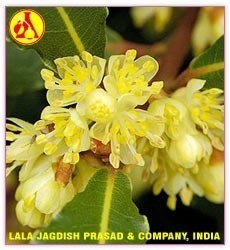 The laurel tree is a small unimpressive shrub or tree, originating in the eastern Mediterranean countries. The evergreen tree reaches maturity after five years and yields about 5 kg of leaves per season, which in turn gives about 50-70 g of essential oil.The laurel tree is a small unimpressive shrub or tree, originating in the eastern Mediterranean countries. The evergreen tree reaches maturity after five years and yields about 5 kg of leaves per season, which in turn gives about 50-70 g of essential oil. 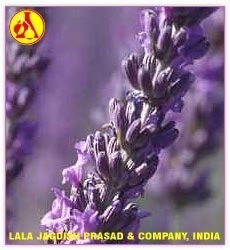 A very valuable organic lavender oil which its plant is usually found at altitude of 700 to 1400 meters and is highly valued. Pure lavender essential oil is endowed with many telictious properties and has many uses in food industry such as sauces and etc. Cosmetic uses: Application in perfumery and production of soaps also used in medical field which is to be under a professional supervision. Bland with : Bergamot, Clove, Rosemary, Eucalyptus, Patchouli, Clary Sage. Application - Muscle Relaxant, Soothing Agent, Skin Conditioner, Astringent. Packing : Food Grade Silver Coated Alumunium Bottels And As Per Client Requirements. Lavendine Essential Oil is a proportional mixture of Lavendar vera oil and Spike lavender oil, sometimes known as Aspic. The oil has a significant amount of camphor and Cineole, making it both an effective mucolytic and expectorant as well as antibacterial. It is much gentler than Spike Lavender, which has the similar effects. Lavendine Altitude Essential oil are highly refreshing and safe to use.Lavendine Essential Oil is a proportional mixture of Lavendar vera oil and Spike lavender oil, sometimes known as Aspic. The oil has a significant amount of camphor and Cineole, making it both an effective mucolytic and expectorant as well as antibacterial. It is much gentler than Spike Lavender, which has the similar effects. Lavendine Altitude Essential oil are highly refreshing and safe to use. 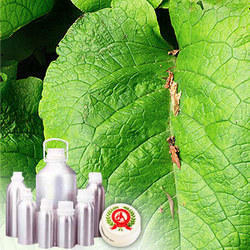 Applications: Antibacterial, Aromatherapy Oil, Expectorants, Deodarants etc. Discounts Offered for Bulk Orders. The prices enlisted here are subject to change and you can ask for firm prices indicated on packaging of the product. The Minimum Order Value is US $ 100. Retail Packing : 0.05 Kg, 0.1 Kg, 0.5 Kg, 1 Kg, 5 Kg, 10 Kg, 20 Kg, 25 Kg, Etc. Small Packing : Fine Amber Glass Bottles/Food Grade Silver Coated Aluminium Bottles Traditionally Designed Bottles, Extra Charges Applicable.